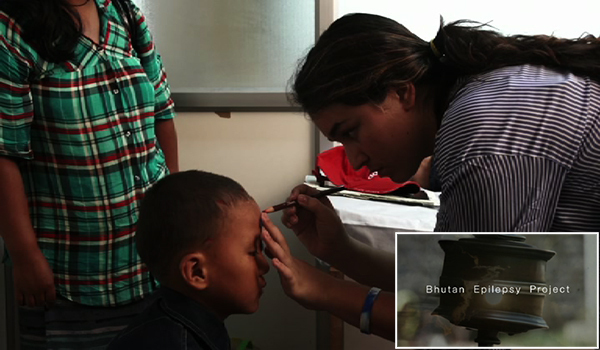 “The Curse, Bhutan Epilepsy Project” a documentary by Project Director, Sonam Yangzom won the Grand First Prize at the Neuro Film Festival in the US. The film, funded by a Medical Doctor from the US, and made in close coordination with Sonam Yangzom, was recognized for exhibiting creativity and helping raise awareness on epilepsy. The film is a story of a boy with epilepsy in a remote setting of the country and how his death is misconceived by many to be linked to epilepsy. The five-minute film also shows how epileptic patients are discriminated. It further speaks of lack of research and health system in diagnosing and treating those living with epilepsy.